High Paced Learning. Continuous Mentorship to help Achieve Peak Potential. Candidates who are working in Non-IT and willing to shift to IT Field can also apply. Graduates of 2016, 2017 and 2018. TEKsystems is hiring for Test Engineers who are passionate in enhancing their career with a leading Health care organization. Experience with compiled programming languages (Preferably Java. C++, C#, C also valued). Experience in creating automated tests. Extensive experience with programming and backend systems. Experience Unit test framework and TDD paradigm (Test Driven Development). Bitbucket/GIT or other SCM tools, proper handling of version control using a gitflow or similar process. Inspirisys enables enterprises to re-imagine their businesses for the ever-changing digital world. Established in 1991, we are a leading information technology services and consulting company in India along with having a global footprint across North America, Middle East, UK, Japan, and Singapore markets. 3-10 year experience in networking test automation. Strong knowledge in computer networking domain. Development/testing experience in L2/L3 protocol (VLAN, STP, OSPF, RIP, LACP,DHCP, RADIUS, BGP,MPLS). Knowledge about switches and routers. Strong Exposure in scripting using Python is mandatory. Strong Test automation experience is required. Good to have knowledge in tools and technologies like QC, Gerrit, Git, Selenium, iPerf, SCAPI, IXIA, IX-net, Spirent. Location Bengaluru, Trivandrum, Cochin , Chennai. Requirement Analysis understanding of use cases based on test scenarios. review product requirements, functional and design specifications to determine and prepare automated test scripts. Problem Solving Ownership, Proactive and Systematic approach. Enable absorption of latest technologies in the product line. Ensure best practices in software development are institutionalized. Interface with stakeholders at all levels in an organization as and when required. Strong experience in Functional (test cases, scenarios, execution)Mobile Apps testing. Hands on in performance testing of Mobile and Web Applications. 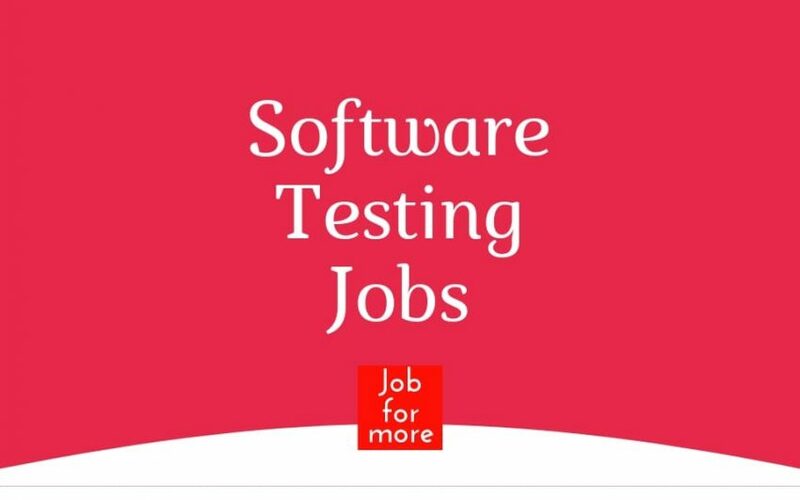 We are looking to hire the best Automation Test Engineers with a flare to code and innovate for the biggest Payment Technology Product Giant. Expertise in writing Core Java codes. Should have written SQL queries for basic DB interaction. E-commerce/ Banking/ Financial Application Testing would be preferred. The project will help you work with one of the largest Payment Technology/ Product Captives in Bangalore via TEKsystems ( -an Allegis Group Org). B.E/B.Tech/MCA or equivalent with 1 to 3 years of experience in automation testing. Products testing experience on Windows and/or Macintosh environments is required. Exposure to Publishing products is desirable. Must have good communication skill. Displays a keen sense of initiative in taking on new tasks, providing improved testing methods and ability to learn new technologies. Knowledge of Illustrator would give the candidate an added advantage. 5. Hands on experience in one or more testing methodologies (UI, Functionality, boundary, Stress, Performance, Security, Memory Leak testing, localization testing). We are hiring enthusiastic, young Java application developers for a cloud, IOT and telematics projects for one of our automotive clients. Java/J2ee, Manual testing, API testing. Should have good experience in Manual testing. Should have good experience in Coding using Java. Should have a complete understanding of SDLC/STLC process. Should have good analytical thinking and communication skills. Should be enthusiastic and have good learning attitude. Should be strong in coding and clear about the logic. Learn the MathWorks testing environment, processes, and tools. Design, implement and execute automated test suites for testing performance architecture. A bachelor’s degree and 3 years of professional work experience (or a master’s degree) is required. At least 3 years (If Bachelor’s degree) or 1 year (If Masters Degree) of experience in software development or testing. Knowledge of software testing methodologies, including developing test plan. Tests will include: interface testing, regression testing, usability, unit, automated testing. Test CRM, WEB applications, integration testing. Understanding of Web 2.0 technologies. Automation will be a plus. Experis IT Private Limited is hiring for Manual Tester in Pune. Manual Testing with Embedded Testing Should be into Software testing only. BE / BTech on electronics background only. Web application testing, API testing/ Web services. We are looking for experienced and motivated technologists who possess a unique balance of technical depth and strong interpersonal skills. We want individuals that demonstrate ability to think strategically about business, create technical definitions around customer objectives in complex situations, develop solution strategies, motivate and mobilize resources, as well as deliver results.This position will be the key leader tasked who will work along with Product Owners /Product Managers. Familiarity with web-based product development and understanding of typical technology architecture for high-volume websites. Proven ability to work with cross-functional teams to drive the implementation of new features as well as resolve operational issues skills is a must. Scope new requirements and oversee implementation working alongside with engineers of new features into the product. We are looking for a Lead Cloud engineer to deliver IT excellence and create innovative solutions in the Cloud. Work with fellow AWS Engineers and Architects to form the best minds in cloud solutions and give innovative solutions to our clients. AWS CloudFormation, AWS EC2, VPC, S3etc. Understanding of Agile, DevOps and Infrastructure as Code (IaC) is strongly desired. Must own ability to learn fast, adapt to new technology and keep current with industry certifications. Familiar with ITSM tools and processes ITIL Incident/Problem/Change management. Experience with distributed application architectures. Primarily focus on design, develop and deploy Cloud native applications and the related CI \ / CD automation. Contribute to the development planning for a sprint interacting with architects and product managers in other geographies. Interact with architects designing software modules \ / features planned for a particular sprint. Write code as per the agreed design. Write automated unit and API tests and execute the same before code delivery. Applied your experience and expertise to Develop, Operationalize, Maintain, Support and Enhance cloud-native applications. Need to have the resource with good technical skills, the right attitude and should take more initiatives. Should be in a position to work with a team. Domain will be related to Banking. Experience in working in Eclipse / Maven environments. Demonstrate experience in using JUnit for unit testing. Hand s on experience in Unix / Shell scripting. Hand s on experience in fine-tuning application response/performance testing. Experience using version control tool GIT. Understanding of banking risk and compliances policies. Experience in code scanning tools like a black duck and tools like Sonar etc. Experience of development of financial applications, including financial transaction processing, settlement, and accounting. SG Global Solution Centre provides services in the areas of Application Development and Maintenance, Infrastructure Management, Business Process Management, and Knowledge Process Management, to Societe Generale’s business lines around the world. The person should have hands-on experience on all the different layers of BigData ecosystem, with very good coding experience in Spark using Scala. You ‘ll learn directly from expert developers in the field; our team leads love to mentor. You can work in many different areas to identify what really excites you and assisting the QA team in defining test scenarios. Review and integrate all application requirements, including functional, security, integration, performance, quality and operations requirements. Review and integrate the technical architecture requirements. Provide input into final decisions regarding hardware, network products, system software, and security. Microsoft – Roboti Process Automation, ASP.NET, ASP.NET MV, Automation Anywhere. Preferred Hands on exp knowledge on RPA tools – Automation Anywhere Blue Prism.